This article was originally written By Sheri Kendall-duPont and Mikey Corral, Jr. for ICMI and can be found here. Like many customer service operations, empathy has long been a key ingredient in the service we provide at FCR. It is ingrained and emphasized in many of our processes from quality to training. In any of our contact centers, you could sit down next to one of our colleagues and hear a variety of statements designed to communicate empathy like “I’m sorry for the inconvenience” or “We appreciate your patience. Your email will be answered in the order it was received” or “I’m sorry for the confusion” and so on and so forth. Early on, our training on empathy strongly resembled a light switch – it could be turned on and off as needed. Our curriculum focused on the use of the aforementioned empathy statements and positive wording and was really positioned in the conversation as a countermeasure to combat the negative emotions expressed by customers. In a day and age where we celebrate companies with customer service departments that really connect with their customers, this instead felt more like a forced expression of emotion that failed to incorporate any empathy at all. While our colleagues knew what to say and do to meet our requirements, the quality of the interaction often fell short of the goal. In a recent post by Shep Hyken, he states that “if you can’t script sincerity, you probably won’t be able to teach it either.” While we would agree that some people are just naturally more gifted at displaying empathy than others, traditional training on empathy and sincerity has done many agents a disservice. There is a clear need and imperative to move beyond empathy statements and guide our colleagues in developing an empathy practice. As we began developing our curriculum to teach our colleagues to employ an empathy practice, some clear themes emerged. It became clear that our training would become a bit more complex than merely teaching agents a few scripts and key phrases to use. 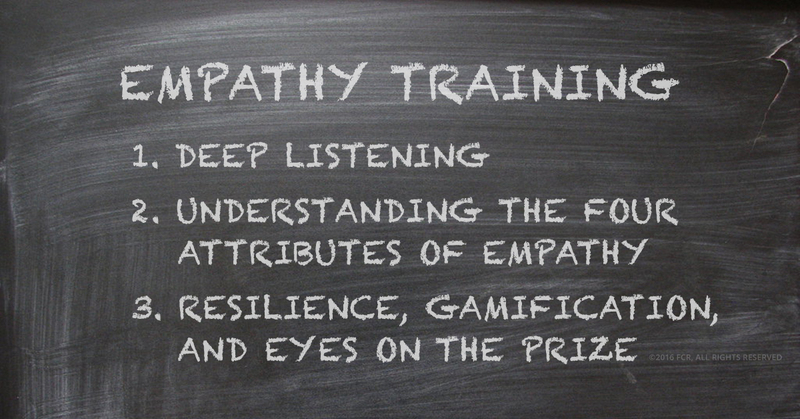 We’d like to take a few moments to share our threefold approach to empathy training at FCR. Deep listening is the first step in developing an empathy practice. When we introduce this to our colleagues we characterize it as generous, empathic, supportive, accurate, and trusting. Deep listening is not to be confused with active listening, which is the practice of repeating back or paraphrasing what you think you are hearing and gently seeking clarification when the meaning is unclear. The major distinction between the two is that in deep listening, there exists trust that whatever is said by the other person, regardless of the level of eloquence with which it is said, comes from something that is true in their experience. 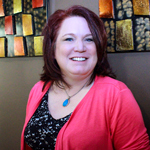 This distinction is really what drives the connection between the agent and the customer. The concept of deep listening is so rare in fact that during a recent session on coaching for our colleagues in leadership, we asked the class to name the last time somebody deeply listened to them. Only one hand was raised and the gentleman remarked that the last time he was deeply listened to was the last time he participated in this activity. In our sessions, we practice being present, deeply listening and then responding with empathy. Initially when we discovered this concept we would play this video for our colleagues and assume they would clearly understand empathy. To our dismay, they continued to rate low in empathy on their quality reviews. Since that time, we began presenting each of our colleagues with a case from a disgruntled customer. They then practice responding to the customer by applying these four attributes with the goal of really understanding the customer’s perspective. The final step in our process of developing an empathy practice is helping our colleagues become more resilient and not taking things personally. Any negativity from the customer is typically not a reflection on the colleague but on the customer and their situation. The customer could be experiencing any variety of things from a personal loss to just having a bad day and have the inability to display the correct emotion or keep their emotions under control. Regardless of the cause, it helps the colleague to understand that in many cases, had their neighbor taken the call instead of them, the customer would act in the same manner. In addition, some of our teams have gamified this with incentives to connect with and uphold the mission of the organization they are working for. This helps many focus on consistently putting their empathy practice to work. Keeping their eyes on both the benefit to their organization as well as the people they care about, helps them sustain this practice over the long haul. 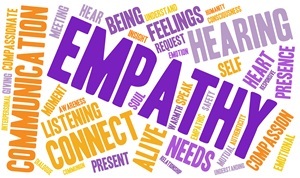 Moving beyond basic empathy statements to an empathy practice in customer service is essential in creating an environment that inspires agents to connect with customers. Teaching agents to cultivate an empathy practice requires trainers who are committed to inspiring others, who understand how to teach adults, and are willing to try innovative activities in the classroom until they achieve their desired results. Did we mention that they should be able to clearly demonstrate empathy? Yes, training does require an investment of both time and money. Ask yourself this: Are your agents truly practicing empathy or are they simply using empathy statements? If the latter is the case, there’s a price to be paid for not truly connecting with your customers. Mikey Corral, Jr. is a Senior Trainer at FCR. 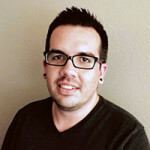 His passion for workplace learning, customer service, and technology has served him well as he has assisted in the development of new hire training some of FCR’s largest clients. In the classroom he demonstrates his passion for workplace education through innovation and creativity. He has more than 10 years of experience as a customer service professional. Follow him on Twitter for more inspiring training insights. Thank you Sheri, this article came at a perfect time, during 1×1’s. I love that this article gave us a template on how to teach empathy. I feel confident that I’ll be able to share this knowledge with our team pretty easily.